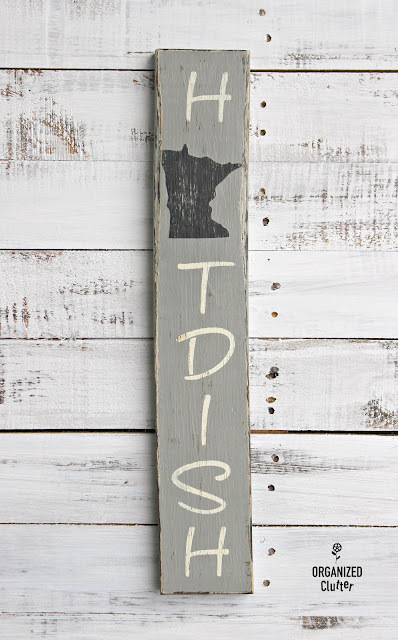 The Great Minnesota Hot Dish "Sign"
I am having more fun today with my $4.99, 51 piece, ArtMinds home state stencils from Michael's. As you can see, my home state is Minnesota! Have you ever heard of a hotdish? If you are from Minnesota you sure have. I grew up on cream of mushroom and macaroni hamburger hotdishes! Per Wikipedia, a hot dish is: a casserole which typically contains a starch, a meat, and a canned or frozen vegetable mixed with canned soup. The dish originates from the Upper Midwest region of the United States, where it remains popular, particularly in Minnesota and North Dakota. Probably the most famous Minnesota hotdish is the Tater Tot Hot Dish. minnesotavisitor.com features the Tater Tot Hot Dish first. Senator Amy Klobuchar's Taconite Tater Tot Hotdish won a Minnesota Delegation Hot Dish Competition in 2011. Although I have an older edition of the cookbook, The Great Minnesota Hot Dish: Your Cookbook for Classic Comfort Food features more than 200 comforting recipes. Another hot dish option is Hot Dish Heaven: Classic Casseroles from Midwest Kitchens . Brown ground beef in frying pan with chopped onion. Add the seasonings. Drain fat. Pour seasoned ground beef into a 4 quart Corningware Casserole Dish and add 1/2 can of milk and soup. Pour Tater Tots on top. I used to make more but this works well for the two of us for two meals and maybe even a lunch later in the week. I don't add vegetables, we have them on the side, or have a salad. I had a 3 1/2" x 20" x 1" pine scrap board that I based coated in Rust-Oleum Painters Touch Latex in Flat Black . Then I painted it with two coats of Rustoleum Chalked Paint in Country Gray . As you can see I laid out my Momenta 2" Alphabets Adhesive Stencil s on my painted board. 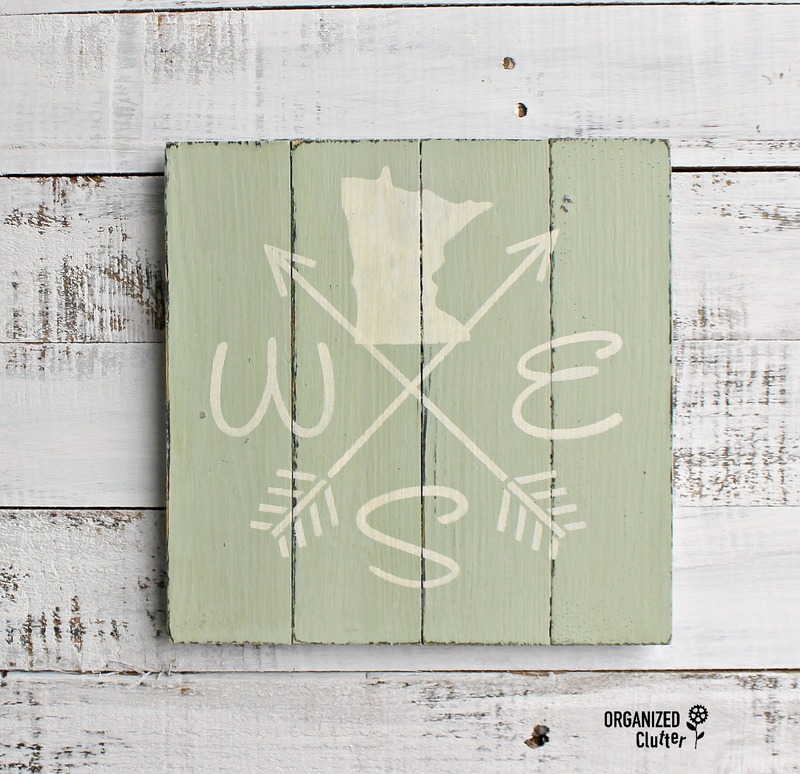 My ArtMinds Minnesota stencil from Michael's takes the "O" spot. All letters were stenciled with Ceramcoat Acrylic Paint in Light Ivory and the state stencil is in Ceramcoat Acrylic Paint in Black . I then distressed the board with 150 grit sandpaper, and I used the FolkArt Layering Wood Block with Ceramcoat in Walnut Noyer on the edges and on the center of the sign after rubbing off 99% of the paint on a newspaper. I then brushed on Varathane Crystal Clear Water-Based Polyurethane Satin Finish to seal the chalk paint and stencils. And of course I added a saw tooth hanger to the back of my sign! And I have a sign celebrating the Great Minnesota Hotdish. What is YOUR favorite hotdish? 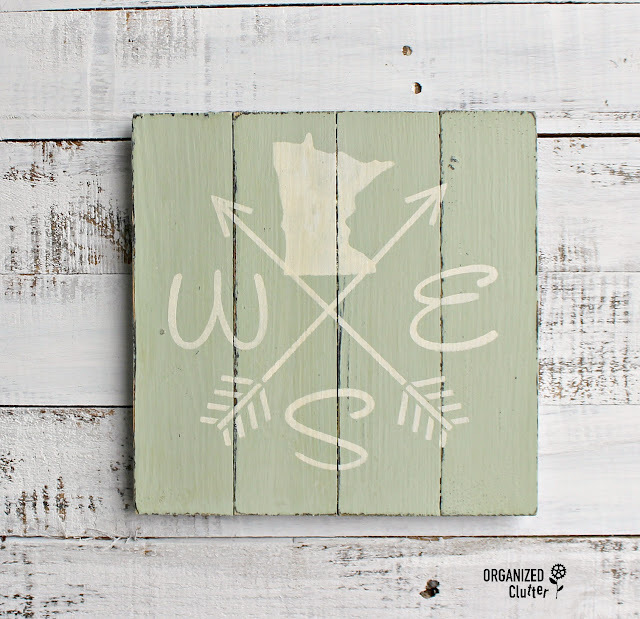 I also made this sign with the ArtMinds home state stencil. Hotdish, classic comfort food and a great way to stretch the dollar to feed a family. Good comfort food, love it. Great buy at Michael's. Guess your weather is getting colder, so the comfort food will be so good. The sign is really cute and I think you could sell them. I'm not a Minnesota native, but I've lived here 20+ years. I finally tried tater tot hot dish a few years ago and thought it was disgusting. I guess I'm not an Minnesotan as I thought I was. Being an Alabamian, I've never heard of "Hotdish," but it sure sounds delicious! My favorite comfort food is mashed potatoes...plain with butter or cheese. Yum. The sign is cute as always.